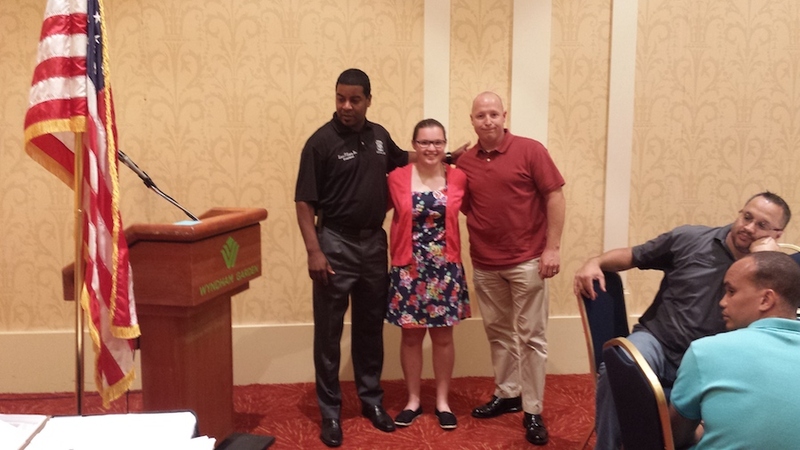 (Left to Right): Lance Lopez Sr., President of PBA Local #105, Leah Michelle Glennon and her dad. Photo courtesy of PBA Local #105. Trenton, NJ – At their recent membership meeting, PBA Local #105 awarded $1.000.00 scholarships to 10 high school seniors, all children of their member officers serving in correctional institutions in New Jersey. PBA Local #105 represents over 7,000 state corrections, juvenile justice and parole officers. Recipients included Leah Michelle Glennon of Newton, a Newton High School graduate. The scholarships were based on an essay contest. Participants completing a required application submitted an essay describing in their own words their reason(s) for attending college and a description of their future goals. Eligible applicants had to be children of PBA Local #105 members who are active at the time of application, retired in good standing, or are children of PBA Local #105 members that died while on the active duty rolls. Candidates also needed to have been accepted as freshmen at an accredited junior college, four (4) year college or university.